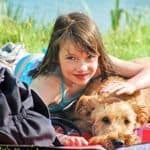 A family activity holiday is the perfect way to keep boredom at bay, encourage your kids to learn a new skill or allow them to develop a childhood hobby, whether it’s horse riding, cycling, surfing, sailing, tennis or something more offbeat like fossil hunting or looking after farm animals. There are activities to suit most ages, from toddlers to teens and – best of all – the whole family can usually get involved. Setting off on a cycling trip, or learning how to surf is a great way to bond as a family. You share the experience together; you all get a sense of achievement and – while these may not necessarily be the most relaxing kinds of family holiday – they are invariably great fun. Here I’m making the distinction between family holidays where there’s a selection of activities available if you feel like it – and holidays where the whole theme of the trip is centred around a particular activity, or activities. (If you’re looking for something more wild and exotic, see our guide to the best family adventure holidays). Taking the first option, there are several operators offering activity-based resorts where you can pick-and-choose from numerous land- and watersports – just as you could easily opt out altogether and flop by the pool. Club Med has a worldwide selection of all-inclusive beach and winter sports resorts where you can try your hand at activities as diverse as circus skills and alpine skiing. In Turkey, Mark Warner’s new Phokaia Beach Resort will keep watersports fans happy. In Sicily, the Verdura Golf & Spa Resort has a tennis academy, Juventus Camp football academy, yoga classes and bike hire. Nearby you can try horse riding, scuba diving and fishing. In the south of Italy, Borgo Egnazia has adventure sports,a soccer academy and watersports with horse riding and go-kart racing nearby. In Jersey, the child-friendly Merton Hotel has an indoor Aquadome with swimming pools, slides, fountains, sauna and steam room. You can also pack a lot of activities into a family cruise holiday For example, the latest ship from Royal Caribbean has a Flowrider surf simulator, rock climbing wall, zip line and on-board waterpark with waterslides. See all the latest offers. Raising the tempo (and adrenaline levels), there’s an equally diverse range of family holidays where activities are the heart, soul and highlights of the itinerary. Parents and children getting stuck into activities together is the underlying ethos of trips with Activities Abroad where you could find yourself on a white-water family jolly through rapids in the Julian Alps of Slovenia, or tubing through a canyon in Turkey. Some trips are specifically for families with teenagers. Prices start at just £475 pp. Inghams on the other hand offers action summer holidays for families in the lakes and mountains of Europe with children as young as three. Its most popular hotels include Hotel le Cret in Morzine, Club Hotel Villa Paradiso in the Italian Lakes and the Garden Hotel Theresia in Austria. If your heart is set on a mountain activity holiday, take a peek at Peak Retreats – it specialises in the French Alps and has picked out a great selection of unspoilt resorts – some of which offer a choice of 40+ activities, from rock climbing to summer skiing. If you fancy the freedom of the ocean waves, you could join a flotilla sailing holiday in the Mediterranean, where you’ll join a group of other people sailing from port to port. If you’re a nervous beginner you can learn the ropes first on a two-week Stay and Sail Holiday with the first week on land and the second at sea. Or head to the most northerly region of the British Isles for a sailing holiday in the Hebrides. Your boat, which sleeps six or eight plus crew, will take you to remote islands such as Mull, Jura and Iona, to view dolphins, porpoises, basking sharks, otters and maybe a whale or two. Of course, when it comes to ‘action stations’ few operators raise the bar higher than PGL. Your son or daughter may have already enjoyed a school trip or summer camp at one of their UK activity centres – or perhaps joined a PGL skiing trip. What you may not realise, however, is that PGL also offers family activity holidays in the UK and France. There are lots of options to choose from, including from the classic multi-activity holiday and canoeing on the Ardeche. See more family holidays in France. For other summer camp ideas for your children, try Kingswood Camps, which boasts no fewer than 80 different activities at its seven residential camps for 7-17 year-olds. Locations include the Isle of Wight, North Wales and French Alps. Ramp up the excitement in Sweden, Norway and Lapland where 24-hour daylight during mid-summer is a boon for kids who crave outdoors adventures. Indulge your log-cabin fantasies on this our Summer Adventure in Swedish Lapland where you’ll stay on a remote island archipelago, kayaking and learning wilderness skills. Further afield, holiday activities get an extra splash of adrenaline and excitement in Costa Rica. Expect zip lining, white-water rafting, canoeing, horse riding, surfing and rainforest walks on this Costa Rica for Families trip. Sri Lanka is another thrilling destination for children of all ages with whale watching, white water rafting, and cultural encounters such as this village farm experience. 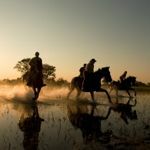 Another exciting option in Latin America is English-speaking Belize where Explore offers this family group tour in July and August, featuring a jungle lodge, jaguar sanctuary, ancient Mayan temples, snorkelling on a barrier reef and encounters with howler monkeys, spider monkeys, toucans and parrots in tropical forests. Now we step boldly into the realm of family activity holidays where it is the activity itself that dictates the style of the trip. No doubt there are plenty of families who think nothing of stuffing rucksacks with tents, sleeping bags and cooking gear before marching into the hills on a good old family yomp. For the rest of us, though, a family walking holiday is more about easy strolling, exploring a region at a gentle pace and spending quality (blister-free) time together. Inntravel understands this perfectly and even goes so far as removing the heavy burden of luggage from you. Bags are transported ahead each day to the next family-friendly hotel on your walking itinerary through some of Europe’s scenic hotspots. You’re equipped with detailed notes, describing everything from restaurants and beaches to wildlife to watch out for, and there’s always a sprinkling of non-walking days in each holiday. If you want to get footloose and fancy-free nearer to home, why not book a cottage in the Lake District? Sykes Cottages has nearly 400 properties in and around the national park where you can set out on day walks ranging from buggy-friendly ambles around Tarn Hows and a gentle circuit of Buttermere to more challenging hikes in the fells around Ambleside and Windermere. 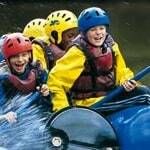 The Lakes are also awash with other activities, from canoeing on Ullswater to cycling in the Grizedale Forest. Kids love bikes and it’s not surprising that family cycling holidays are so popular. Don’t be put off by logistics. No one is expecting you to laden your bicycle with bulging panniers and attempt any Bradley Wiggins’ style feats of endurance. Inntravel takes the puff out of pedalling with its great range of self-guided family cycling holidays in some of the most beautiful regions of Europe. Its most popular routes are the Quiet Lanes of Mallorca where you stay in characterful agriturismos with a pool, and Bikes, Backroads and Beaches which involves exploring the hidden beaches, medieval villages and unspoiled countryside of Catalonia. Headwater specialises has a great range of independent family activity holidays featuring cycling, walking and canoeing. It has options in Austria, France and Spain and you can choose between staying at a single base, or travelling between hotels with your luggage transported along the way. A saddle on a horse, rather than a bike? No problem. Western & Oriental has a great collection of luxury resort ranches and small working ranches in the American West. No riding experience is necessary! If there’s one activity synonymous with family seaside holidays in the UK, it’s bodyboarding. Taking the next step and learning how to surf with a professional instructor is not only hugely rewarding (for kids and grown-ups), but also helps to teach your children how to stay safe in the waves. The supremely family-friendly Sands Resort Hotel and Gwel an Mor Luxury Resort both preside over the North Cornwall Coast, renowned for its superb surf. Also consider the luxurious but family-friendly Six Senses Lammu in the Maldives where teenagers can surf the world-class Ying-Yang break and get stuck into wake-boarding, scuba-diving, snorkelling and more. The Four Seasons Kuda Huraa has a kids spa, surf school and marine discovery centre. See more family holidays in the Maldives. 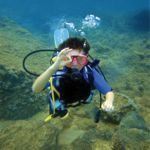 Snorkelling is another activity that can rapidly become an obsession for children on a seaside holiday. A sailing holiday with Peter Sommer Travels, pottering around the Turkish coast on a traditional sailing gulet, provides endless opportunities for flopping overboard and seeing what lies beneath. Taking the plunge into scuba diving is the next natural step. Numerous family resorts offer PADI Bubblemaker courses where children as young as eight can take their first breath underwater in the safe and controlled conditions of a swimming pool. Children aged 10-14 can then progress to the Junior Open Water course. For family skiing holidays, Esprit Ski takes care of everything, from ski classes for 3-12 year-olds, dedicated nurseries, pre-bookable ski packs and catered chalets or chalet hotels in around 15 of the best family-friendly resorts in Austria, France, Italy and Switzerland. Click here for some great deals, including free children’s holidays and lift passes, free children’s ski and boot rental and discounted adult ski passes. Cross-country skiing is just one of the alternative winter activities to choose from on a three- or four-night break in Finland with Santa’s Lapland – although a pilgrimage to meet Father Christmas is, of course, the main event. Try the traditional Santa’s Magic experience or – for optimal chances of seeing the Northern Lights – the Santa’s Aurora which includes a stay at the luxurious Santa’s Star Arctic Hotel. If cycling, surfing, scuba diving and skiing just sound too challenging and complicated, or if you have very young children whose idea of an ‘action holiday’ is to pat a donkey on the head and collect chicken’s eggs, then a farmstay is the ideal choice. Holiday Cottages has a selection of properties on working farms throughout the UK, including Cornwall, Devon, Dorset, Wales and the Cotswolds. … something for dinosaur hunters – quite possibly the most addictive holiday activity out there. You could plan an expedition to Mongolia or the Badlands, but why not start by honing your fossil collecting skills on the Isle of Wight where you can track down dinosaur footprints and look for remains of the predatory Neovenator salerii. The Dinosaur Isle museum whisks you back in time to the Cretaceous and also organises fossil walks. 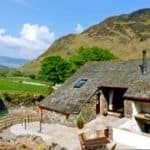 Stay at one of these lovely cottages.